The bounty and grace of nature. Goulée by Cos d’Estournel brings to mind a light sea breeze, refreshing eucalyptus and the tantalizing scents of juicy, ripe berries and rich cacao beans… Evoking an invigorating afternoon spent on the water with friends or a delicious meal in an oceanfront bistro softly lit by the glowing rays of the sun, Goulée by Cos d’Estournel is decidedly untamed, a bold and expressive wine. 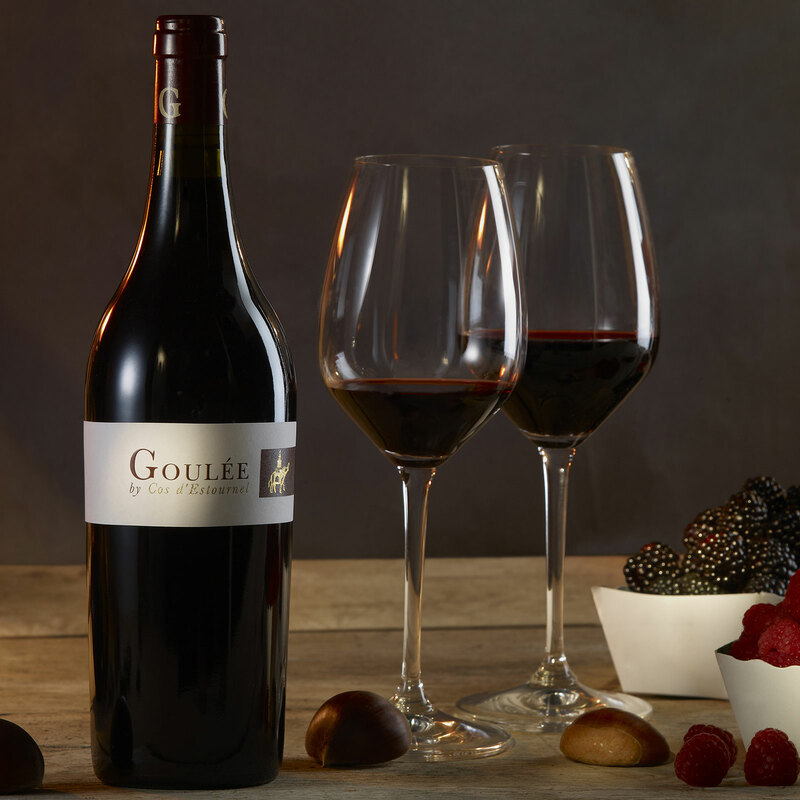 Refined and elegant, the Cabernet Sauvignon planted in 2012 has begun to fully reveal itself in the structure of Goulée by Cos d’Estournel. Located in the northernmost reaches of the Médoc, the terroir of Goulée reacted more extremely to weather conditions, resulting in a vintage with great energy. 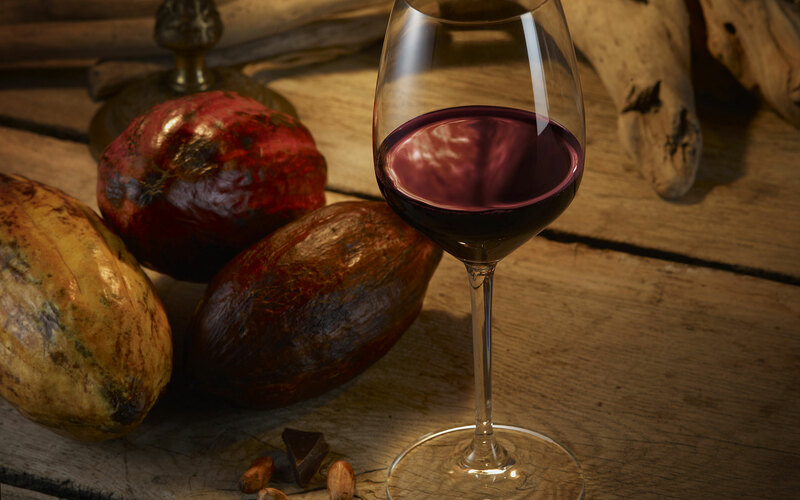 Fruity aromas are very present, along with a lovely balance between peppery, mineral and saline notes on one hand and roundness and sheer pleasure on the other. Located in the northern reaches of the Médoc, where breezes regulate temperatures during hot spells and allow fruit to maintain freshness, the vineyard is particularly adapted to growing Merlot grapes. 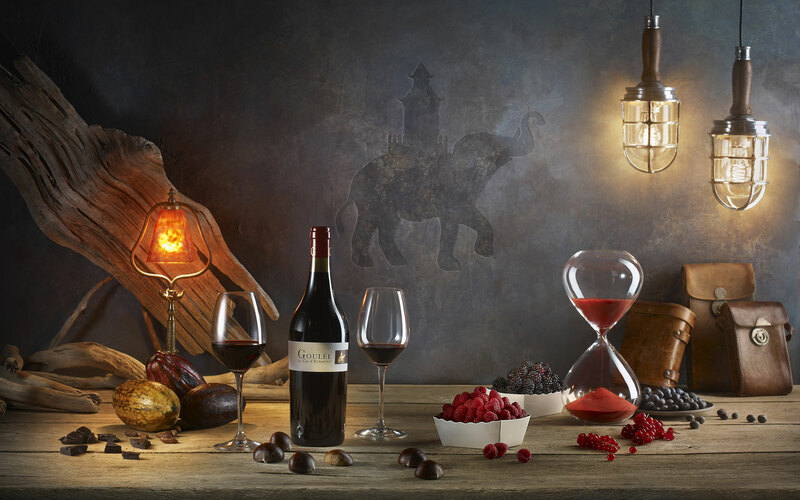 In perfect harmony with the estate’s terroir, Merlot is key in creating a smooth, supple, seductive wine that is fruity yet pure. Goulée’s location close to the ocean in the uppermost Northern Médoc confers excellent natural ventilation. This was an important factor in 2014 – a hot, dry year. Meticulous work in the vineyard all year long by the Cos d’Estournel team made the most of the terroir, enhancing the wine’s concentration and length. The 2014 vintage is beautifully vivacious, with well-focused fruit. The warm summer was conducive to slow, even ripening accompanied by considerable freshness. Merlot was especially successful in 2013, giving the wine a very smooth texture with some sweet spice on the middle palate. The summer of 2012 was particularly hot and the grapes ripened perfectly. This reflects in the wine, which has a fine brilliant colour and a rich flavour. 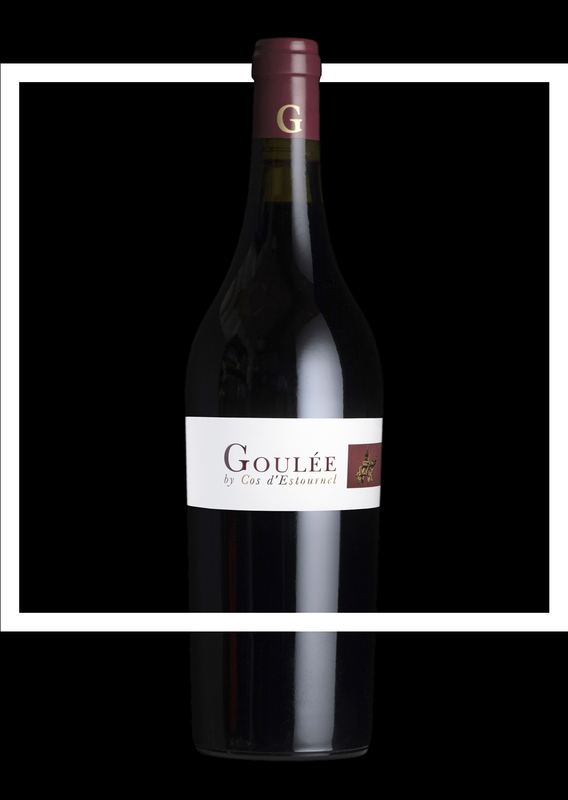 Goulée by Cos d’Estournel 2012 has a beautiful crimson hue, as well as plenty of substance and complexity. 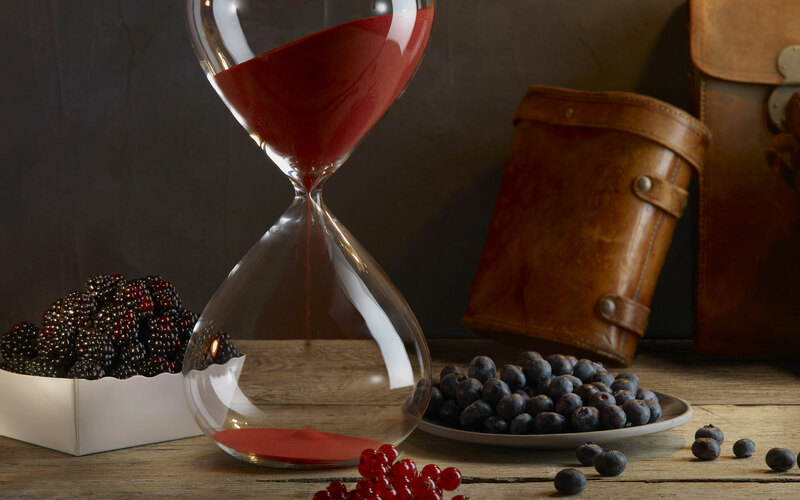 It is quite charming on the palate with delicious red fruit flavours and elegant, silky tannin. Despite fluctuating weather patterns, all the necessary parameters were present in 2011 to make a fine vintage. The grape pulp and skins were ripe and in excellent condition by harvest time. The resulting wine is generous, full-bodied, and fruity. It also has a velvety texture and a smooth, long aftertaste. Outstanding weather in 2010 made it possible to produce a great classic wine, a shining example of what the Northern Médoc is capable of. Goulée’s microclimate provided the necessary night-time coolness to make a fresh, fruity wine that is especially round on the palate, with subtle hints of morello cherry and vanilla. After a cold, dry winter, the spring and summer of 2009 were marked by very hot temperatures. This led to an unusual delay in ripening the tannins. Fortunately, however, this was softened thanks to rain in September. Goulée by Cos d’Estournel 2009 is thick, but not heavy, and has retained its intrinsic freshness. The wine has beautifully rich tannin and considerable concentration. This is a tremendously pleasurable wine: soft, charming, and particularly fruity. The weather was rather capricious in 2008, with alternating periods of rain and sunshine in spring and summer. This caused slowed down vine growth and ripening. However the véraison was homogeneous and the grapes reached full maturity in good condition. The end result is a classic, concentrated vintage with low yields due to frost in April. Weather at the beginning of the year was very mild and dry. Flowering occurred early and mild temperatures in late summer was conducive to good ripening. Thanks to delicious flavours of black fruit such as blackcurrant and blackberry, Goulée by Cos d’Estournel 2007 is quite pleasant and certainly worthy of attention. The heavy rains in early 2006 enabled Goulée to build up its water supply after a year with low precipitation. The summer of 2006 was one of sharp contrasts and atypical weather. This accounted for a concentrated, deeply-coloured wine with plenty of substance. While this vintage was rather austere for some time, it is now fresh, vivacious, and very attractive. Goulée’s terroir benefited from ideal weather in 2005. The vineyard’s location in the far northern part of the Médoc accentuated the cool night-time temperatures and tempered the hot daytime ones in this sunny year. Thanks to deep rooting, the vines were also able to cope well with the water stress that occurred during a summer with little rain. The fine potential observed in the vines was confirmed in the cellar, where excellent colour and aromas were extracted from the ripe grapes. Goulée by Cos d’Estournel 2005 is an archetypal Médoc, with a remarkably fruity flavour profile.